Mich L. in L.A.: Get yer fishtacks right here! An Envelope of Doom update. Get yer fishtacks right here! An Envelope of Doom update. 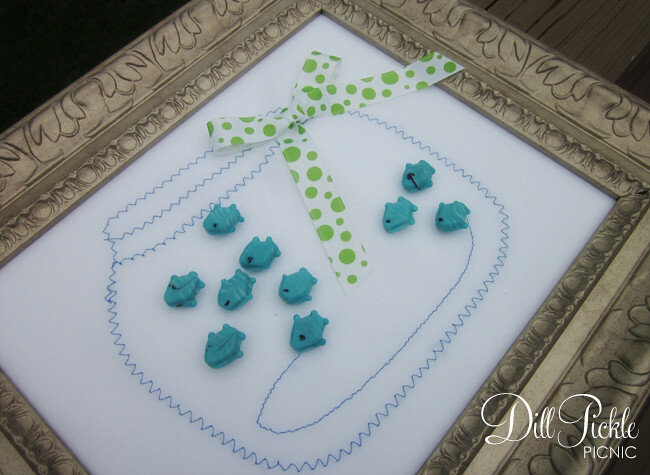 Another project from the crafty mind of Cece at Dill Pickle Picnic. In her Envelope of Doom she got some silly, fishy porcelain beads. Instead of stringing them as jewelry, she turned them into decorative thumbtacks. And then she paired them with the cutest note board. Here they are, swimming around in their own embroidered fishbowl! I mean, how seriously nifty is that? Click here for her easy tutorial, which includes a great method for gluing stuff onto thumbtacks without getting poked. Hasn't this Envelope of Doom challenge turned out to be fun? (To see all the creations, click on the Envelopes of Doom label, off to the left there.) I love how our craftestants have embraced the idea of turning a bit of unloved, unwanted craft flotsam into something shiny and cool. Every new project gets me thinking. I hope you all are enjoying them, too!